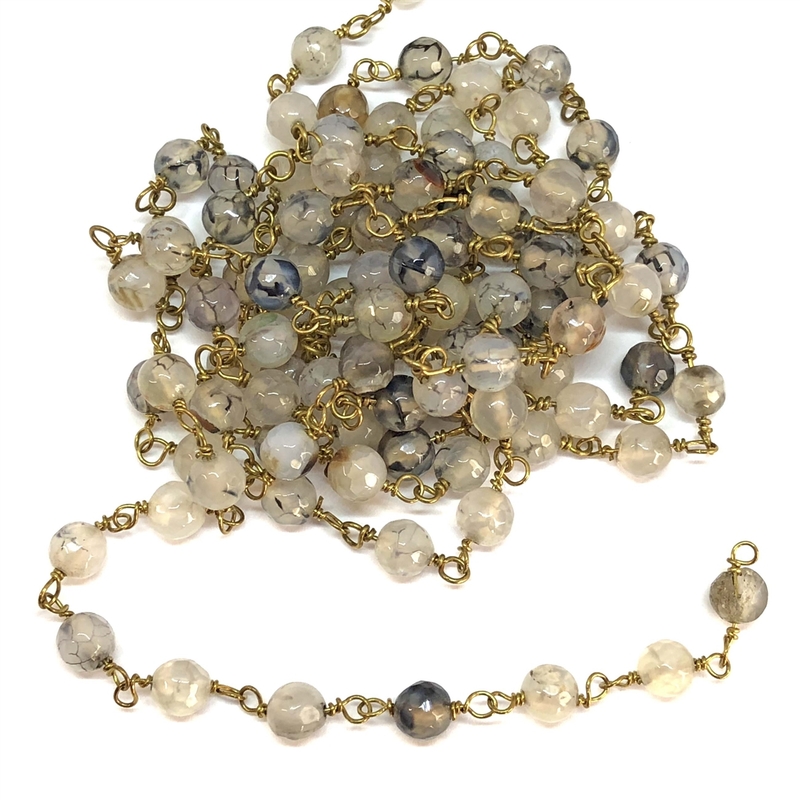 Black and white dragon agate bead chain, patina brass links, patina brass, semi precious bead, chain, rosary chain, beads, wire wrapped links, jewelry chain. Lovely black and white dragon agate natural beads, connected with handmade, patina brass links, wire wrapped links of the highest quality, just beautiful. Measures 6mm bead, wire link with bead measures 15mm long. Sold by the foot.